Can the prosecutor prove I was driving? What are my bond conditions? What happens to my driver's license? 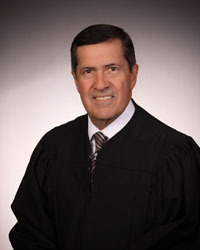 If charged with a misdemeanor DUI in Monroe County (Monroe, Dundee, Carleton, Erie Twp), the case will be heard by Judge Jack Vitale, Judge William Paul Nichols or Judge Michael Brown who handle all drunk driving cases in Monroe County at the 1st District Court. The most common police departments are the Michigan State Police, Monroe PD, Monroe Sheriff Department. The Monroe County District Court does not have a sobriety court, which is a useful consideration if a client is charged with a second offense, but there is always opportunity to enter a different sobriety court with a transfer. If you have an old DUI case on your record, you are eligible for a DUI Pardon, but not expungement. If charged with a misdemeanor DUI in Monroe County, the charge will either be Impaired Driving, Operating While Intoxicated, Super Drunk, Operating With Presence of Drugs or Minor BAC Zero Tolerance or with a prior, OWI 2nd Offense or 3rd Offense which would be a felony. When charged with a drunk driving offense in Michigan, you're fighting for your survival. Your freedom, license, career, family reputation and your future are on the line. In a recent Michigan State Police drunk driving audit, there were 440 DUI arrests in Monroe County with 162 breath tests, 224 blood tests with 100 chemical tests exceeding the Super Drunk level of 0.17. Judge Vitale, Judge Brown and Bronson handled all of the misdemeanor DUI cases at the 1st District Court. It appears approximately 15 DUI cases were dismissed with no trial acquittals meaning nobody won at trial, which is quite surprising. Each calendar year, I have upwards of 1500 potential contact me for legal help. I listen to every legal issue, and assess every case, providing the potential client with my insight and guidance. Unfortunately I am unable to help every client that contacts me for a number of reasons, but the main one is simply limited resources. Because my approach to DUI cases in Michigan is so comprehensive, and geared toward maximum value, I limit myself to around 100 total drunk driving cases each year. This ends up averaging out to 8-10 new DUI clients each month, which I call my “Select 100”. Although there are many other DUI attorneys in Michigan, I personally believe my approach is geared toward achieving the highest rate of success both inside and outside the courtroom. When I agree to take on a case, I am looking for a number of components. The most important aspect I am looking for is my ability to make a unique and impactful difference for the client. There are clients out there who have been struggling with alcohol, and making poor choices because of it; those clients need my program to both learn from the incident, and to make an impact on the outcome of their case with the prosecutor and the court. Most DUI cases have plenty of “bad facts”, and it’s a challenge to turn those negatives into multiple positives, but I do it on every case. Every client I work with leaves the case in a better position to move forward in a positive direction. My clients know that they took every shot, and pushed every button on the board, and at the end of the day they knew their options, and chose the path that was right for them. It’s nothing more satisfying than hearing from a client months and years later; the client is thriving in their career, at home, and in the community. Along with looking for cases where I can make an impactful difference, I am looking for clients who are truly motivated to help their own case. I can be their field general in the courtroom, but if they don’t handle their business outside of the courtroom, we’re missing a key link in our arsenal to push the prosecutor and judge to the point where we’ve maximized our efforts, and created the optimal result. When I agree to take on a case, the client is agreeing to follow my proactive program requirement by requirement, and they are comfortable with my Shock and awe approach, not being afraid to challenge the case via pretrial motions, and at trial. The client needs to be willing to climb up the mountain with me; failure to do so, and we’re going to come up short on our goals to maximize the result. Once I agree to take on a client’s case, it’s time to open up the hood, and do a self diagnosis of the client. Most clients have a good understanding of their driving history, and their criminal background. Although I allow the client to provide me with these details, I still have my team run my client’s driving record, and do a criminal background check with the Michigan State Police. With DUI’s, it’s very important to know about out-of-state prior convictions; usually a client will have some idea of potential convictions from other states, and we will follow-up directly with that state. Along with background checks, I ask my new client to share a recent resume with me, school transcripts if applicable, awards, evaluations and to begin obtaining letters of recommendation. I also request any medical history that may have impacted the case, and we follow up on anything useful to a possible defense. When a client is charged with a DUI, the judge, prosecutor and police only know a few things about that client. They have your name, your date of birth, driver’s license information, and they believe you to be a dangerous drunk driver. You can be 75 years old, with a perfect driving record, who drives cross country every week with no prior mishaps, and unfortunately the parties in the case will only focus on the facts at hand. This is why we do the self discovery and evaluation. It is our goal to shift the sole focus of the case from the “DUI facts” to a more in-depth look at the client. We need to know what the other side knows, and prepare to neutralize a negative, or turn it into a positive. Joe the DUI guy who was speeding at double the legal limit. Joe, father of two, married for 20 years, works at Ford Motor Company, had 3 drinks at a wedding, but also was suffering from the flu, and any test result was likely impacted by the illness. If I agree to take on a new client, we’ve discussed my proactive program, and the strict demands, which I place on that new client. My 5-Star program is nothing to take lightly. It’s not quite boot camp, but it’s time consuming, demanding of one’s time and attention, and takes the right mindset to flourish. I can promise one thing, if that client excels on the plan, not only will they knock the socks off of the prosecutor, and judge, but they will feel like a million dollars. We can’t go back in time with our time machine and change what happened, but we can control the future, and learn from what happened. I tell clients all of the time that in the end, we might have the case dismissed, or we might win at trial, but it doesn’t mean we can ignore the incident. Other than the rare case where my client is claiming they were not the driver, my clients are typically found behind the wheel or provided evidence they were driving. These clients were arrested by a “trained officer” due to probable cause for breaking the law for a drunk driving offense. While there might be officer errors (likely) or chemical testing issues (likely), there is at least some evidence that my client could have possibly used better judgment. The prosecutor may not be able to get over the reasonable doubt hurdle, but it doesn’t mean my client can’t learn from the situation at hand. My goal for a new client is to help that client avoid a repeat situation where they find themselves arrested for a DUI. Just because we “got them off” this time, doesn’t mean they have the tools, resources and mindset to avoid getting themselves back in the same bad situation. I require my new client to dedicate themselves to learning from the case at hand, and use the experience going forward to help themselves and others avoid drunk driving situations. Because my exact method has extreme proprietary value, I don’t share it with the public, but I will provide this nugget for anyone interested in my help. Every client I work with on a DUI charge is required to alcohol test every single day, twice per day. It’s demanding, but it’s the only way to truthfully tell a prosecutor and judge that the client is sober, thriving and complying. It’s a positive sneak preview into my client’s future behavior and judgment to assist them in deciding if my client deserves the benefit of the doubt. Most of all it’s a weeding out process for selecting clients. If a client resists this requirement, a red flag goes up, and I usually move on quickly. I know that we’re going to run into issues with the judge and prosecutor, and my client is not taking this moment in time as seriously as I am willing to take it for them. Working hand in hand with my client is only half the battle when it comes to learning everything about the case. While my client can usually provide a decent recap of what happened, we need to dig a lot deeper in order to fully understand all of the possible defenses, techniques and strategies. This process begins the minute a client retains my services with requests to preserve time sensitive evidence, and a comprehensive demand for all evidence in the case (some which the other side claims takes awhile to send). We gather everything from the officer’s police report to the Michigan State Police gas chromatography case file, to obscure evidence like the arresting officer’s personnel file, and Datamaster training test results from years ago. We ask for everything, and follow-up until we get it; if we don’t get it, we request a jury instruction for a negative inference from the judge. Once we have the discovery, my clients and I get together to have in-depth conversations about their life, their future and their case. This term comes from Silicon Valley where highly successful people, usually in the technology sector gather for hours and hours to throw out strategies, ideas, and go back and forth on concepts and possibilities. Many of the most successful technology and media companies have been conceived, or greatly influenced by these type of sessions, and I take a similar approach to my client’s drunk driving cases. 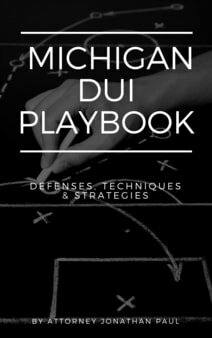 I have every client read the Michigan DUI Playbook cover to cover, watch my videos, read my website, and become educated on the possibilities and challenges of their case. 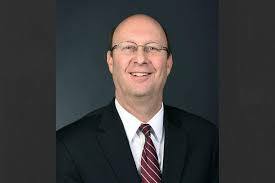 While my client typically does not have a law degree, or have experiences with DUI cases, I try to have very productive back and forth discussions on the direction of the case. There is back and forth during the hiring process, but we typically can’t get into the most productive conversations until we’ve done both a full self discovery and evaluation, started the 5-star proactive program, and obtained discovery and information from outside sources. The first meeting brings everything together, and sets the tone for the rest of the case. As the case progresses, my client and I stay in contact on a daily basis, as the client provides updates on their progress with the program. During this time, my team provides updates on how things are progressing in terms of creating legal options. If the case is set for trial, then it’s time to really get to work. I’ve yet to come across a DUI case as both a prosecutor and defense attorney that did not have at least one area to challenge with a pretrial motion. Unfortunately this opportunity is ignored on 99 percent of DUI cases in Michigan. I don’t believe in filing motions just to file motions, but I do believe in challenging legitimate issues, and holding the prosecutor’s feet to the fire on their case. In my experience, preparing well-thought out, and effective motions will lead to one of two possibilities. One, the prosecutor who is already overworked will want to avoid additional litigation, and will make a great offer to my client in exchange for resolving the case without the motion and evidentiary hearing. Two, the prosecutor knows that the Defense is going to challenge their evidence, and hold them accountable, which opens up the door for future resolution, but the hearing goes on for now. At that hearing, the client has nothing to lose, but the evidence against them. Sometimes what I will do is send over “preview motions” to the prosecutor ahead of time, along with updates on the client’s progress on the proactive plan. The goal here is to push for the “best offer” with motions ready to file, and real proactive success by my client. The prosecutor knows we’re serious about filing the motions, as it only takes a push of a fax button to file them with the court, and we’ve provided them justification to make a great offer by being proactive, and already being 5 steps ahead of the typical person charged with a DUI offense. Depending upon the court, prosecutor, and the facts of the case, I will either send over a packet with the preview motions, or just file them and go from there. Ultimately this technique puts us in control of the case; we can take a great offer from a prosecutor, which would not be available without going the extra mile, or make the prosecutor show their cards at a hearing, and have the judge decide if they can go forward with the presented evidence. The motions we file vary, and could be directed at the traffic stop, the probable cause to arrest, statements made while in custody, attacks on chemical test results (both blood and alcohol), and on a number of other issues. The worst case outcome is the evidence stands, but we’ve now flushed out the prosecutor’s case, and locked their witnesses into testimony, which we can use to impeach at trial. I send a packet to the prosecuting attorney in every case with additional information on my client, positive updates on my client’s proactive success, and a preview of the motions to be filed, or a recap of the motions that were filed. 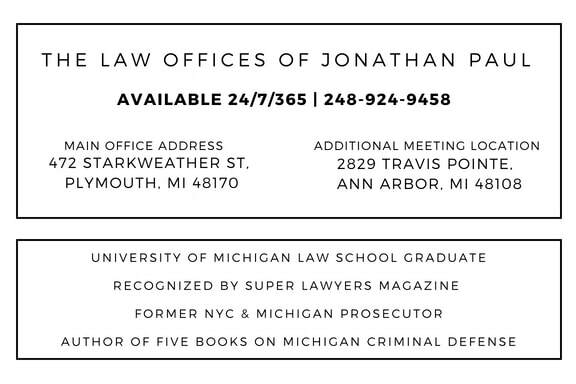 This is a much different approach than almost every other attorney in Michigan. As a former prosecutor, I saw every approach, and I have never seen what I do with my clients. The typical scenario plays out this way: lawyer gets hired, lawyer files appearance with the court and prosecutor, lawyer has first communication with the prosecutor on the first court date, prosecutor makes default offer that every other attorney receives. A client can do this themselves without the assistance of a lawyer. By previewing or filing various motions prior to the first court date, it sets the tone for the rest of the case. My client’s always keep the door open for resolution if it matches their goals, but the prosecutor knows that the default offer will not likely get the deal done. When a prosecutor’s workload is about to go up, they will fight it by making it go away. This might mean making an exception to a policy and going the extra step in their offer, which would not be available without this Shock and awe. This term is a military doctrine based on the use of overwhelming power and spectacular displays of force to paralyze the enemy's perception of the battlefield and destroy its will to fight. By making the prosecutor work before the case even begins, it gives my client the edge needed to maximize the result. Along with showing spectacular force and confidence, we help the prosecutor justify their generosity with our proactive efforts. For example, if my client’s case has some negative elements like an accident or a high BAC reading, yet we point out issues with the case, and get the prosecutor to “deal” beyond their typical offer, the prosecutor still needs to worry about the perception of the case. A prosecutor can’t explain an exception by saying “well our case stinks”, because that’s a negative reflection on the cops, and their office for even charging it. What they can explain as part of their decision is 60 days of documented sobriety by the Defendant, 30 AA meetings, 50 hours of volunteer work given back to the community, alcohol education and ongoing counseling among other achievements. Part of the Shock and awe approach is the willingness to actually contest the evidence via motion practice and hold hearings on the evidence. A motion is filed with the court, and the court can either rule on the action requested, or agree to hold a hearing. At this hearing, the burden will be on the prosecutor to produce both witness testimony and physical evidence in order to demonstrate that my client’s constitutional rights were not violated, and that the issue is a matter better suited to be heard by the trier of fact on the question of guilt or innocence. If a judge suppresses evidence this means that it will no longer be admissible at trial, and depending upon the evidence, a prosecutor may be forced to dismiss the entire case. If after exhausting our efforts outside of the courtroom with the proactive program, and challenging the evidence via motion and evidentiary hearing, we’re still not presented with an outcome, which my client find acceptable, then we go to trial. A trial can be with a judge or jury, and that is usually judge and fact specific to each case. Ultimately the burden is 100 percent on the prosecutor to present evidence of the “elements” of the offense. For most misdemeanor DUI cases those elements are driving (as defined by the law) by the Defendant, and either impairment or intoxication, which can be done with a chemical test result. My method essentially all comes down to the five levels of proof provided by Michigan law. In my experience as a prosecutor, and now as DUI defense attorney, most attorneys ignore or simply skim over one of the greatest assets of a defense lawyer. The power of reasonable doubt is ignored, and a jury is allowed to simply hear the evidence, and pick a side without really applying the law. Here’s what happens in 99.9 percent of DUI cases in Michigan. Prosecutor presents witness testimony, test results and argues that the elements are clearly met. Defense lawyer repeats many of the same questions asked by the prosecutor, and fishes for “yes it’s possible” answers from the prosecution witnesses. Maybe they throw in some questions to take the shine off the test result, and get the prosecution witnesses to admit some positive facts. Jury still has the cold hard facts of driving and usually a BAC reading over the legal limit; that seems a lot more powerful than a few chips taken off by a defense lawyer, and well I don’t like drunk drivers, so I am going to vote guilty. This approach will get you convicted almost every time, because the defense lawyer is allowing a jury to apply the wrong standard, and they simply don’t know any better. It’s not the jurors fault, as they were not educated during the jury selection process, and both the judge and lawyers threw out the term reasonable doubt without giving any context or meaning. I’m not going to get into the specifics on how I build that doubt for a jury, because that’s why a client hires me, but I will do a quick demonstration on how the five levels of proof work. The typical case only uses the term reasonable doubt, and the phrase guilty or not guilty as if they are two equal results. The cards are also stacked against the defendant in terms of evidence despite some chips knocked off by the defense team. By default, the “guilty” column is going to appear to be a lot stronger than the “not guilty” one. That’s how people get convicted. You can take those same chips taken off the evidence (or chunks if I am the one defending you), and put them up in the correct context of levels of proof, and with the right jury, you can win every time no matter your facts. In Michigan, there are five levels of proof: reasonable suspicion, probable cause, preponderance of the evidence, clear and convincing evidence and reasonable doubt. An officer can pull you over or detain you if they have reasonable suspicion a crime was committed and you were the one who committed it. Probable cause is the standard for arrest, which means “you probably did it” based on the evidence. Both of these are not enough to convict someone. You then have the three trial proofs. Preponderance of the evidence is the classic 51 percent rule; put the good and the bad on a scale and if the guilty facts outweigh the not guilty than you pick guilty. Clear and convincing is the next level, which is as it sounds, you are clearly convinced of the person’s guilt, so you vote guilty. Reasonable doubt is the last one, but the perception does a 180 turn once a jury understands what’s beneath it. I educate a jury from the beginning of the case on these levels, provide them multiple reasons to doubt the evidence during the trial, then walk them down the five levels of proof at the end of the case. Essentially, I give the jury a long enough leash if they wish, to believe it is “reasonable” that my client is guilty, that the client is “probably” guilty, that is more likely than not that they are guilty, and even that they are clearly convinced that the client is guilty. It’s a mistake to allow a jury to think about the case as 0 or 100, yes or no, black or white; you need to empower a jury to view the facts and say “yeah this guy isn’t innocent”; if you fight that then the only other option is guilty. Give the jury room to breath, and hold their hand up the steps of proof; tell them it’s ok to keep going, but before we get to the highest level, they will realize that they can’t take the final step. You can’t be afraid to let a jury walk away clearly convinced that the client committed a crime, but they followed the rules, applied the correct legal proof, and found at least one reason to doubt the client’s guilt. My method builds up plenty of doubt, and provides enough justification to stop at a level shy of beyond a reasonable doubt. I compare this jury ignorance of the legal proofs to a situation many years ago when a social experiment was done with a famous violinist and Grammy-winner who posed as a street performer in the subway while unbeknownst to subway riders was playing a $3 million instrument. He performed the same music, which otherwise costs hundreds of dollars to buy a ticket to see his performance live in world famous venues. A jury in most cases is just going to go with their instinct and react in the most familiar manner. They hear 100’s of people playing instruments in the subway, this 101st performer sounds similar enough to group them into my typical reaction; ignore it. In a DUI trial, well the evidence sounds like what I would expect in a DUI case, there’s enough there, and well the defense lawyer is being paid to try to get their client to be innocent. An educated evaluator of music will immediately hear the difference, as will an educated juror. When put in the correct context, a juror is going to apply the correct standard, and give my client the path for a successful outcome. Client and lawyer show up in court a bunch of times, something is eventually worked out or the client is convicted by a jury who didn’t understand the levels of legal proof, and now the client will be assessed, evaluated and judged by probation who will supply a recommendation to the judge for the eventual sentence. Same client and lawyer get a copy of this a few minutes before sentencing, and can agree or disagree. Lawyer says their client is a great person, has a job, kids blah blah blah. That doesn’t move the needle, and the client is paying thousands of dollars for a glorified babysitter. I take an entirely different approach. As I discussed above my client is on my proactive program from the day we begin working together. The client can be DONE with their sentence before even going to sentencing. Yes, you heard that correctly. I get my clients credit for their entire sentence on a regular basis, because I know exactly what judges are looking for, and we’re doing it on our own time without the hammer of the court. If the judge doesn’t give full credit, they will instead reduce what they were going to sentence the client to, and again, the credited portion is now not performed on the court’s time. Along with having all of this in place, it must be properly documented for the probation staff and the judge so that it can be reviewed in advance of sentencing. If you were to be sentenced on a DUI case, under which scenario would you like to be in when your freedom is on the line, and the judge controls the next 24 months of your life on a misdemeanor or 60 months on a felony. Scenario #1 - showed up in court a bunch of times, sat up late at night reading the internet and worrying, but didn’t do anything but worry for the last 6 weeks about this moment in front of the judge, and now you feel the urge to ramble in a mix of apologies and promises to never be back in court. Scenario #2 - showing the judge just how seriously you are taking this case, as you’ve passed 120 alcohol tests over 60 days, you’ve learned a great deal at over 40 AA meetings, you are currently working with a substance abuse counselor to learn more about yourself, and make wiser choices, and you’ve given 50 hours back to the community in volunteer work to show you’re a positive member of society among other efforts. You don’t feel the need to apologize to a judge who was likely sound asleep and unaffected that evening, and you know not to promise a single thing, because you would have said you’d never get a DUI before this one happened - humble and optimistic about the future, you walk into court with confidence.